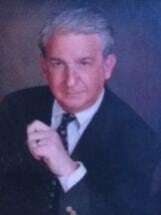 Bornstein Oppenheimer has closed tens of thousands of loans for National, Regional and Local Banks and Mortgage Companies over the past 35 years including retail mortgage and private banking loans, all forms of residential loans including Conventional, VA, FHA, Kentucky Housing, Jumbo Loans, Deed in Lieu, Short Sales, Contract for Deed, Lease with Option to Buy, and all other types of loans. First American Title Insurance Company Kentucky, First American Title Insurance Company Indiana, Fidelity Title Insurance Company (Commonwealth Land Title), Chicago Title Insurance Company, Stewart Title Insurance Company and Old Republic Tide Company all issue insured closing letters. We are approved Closing attorneys for all of the above title companies. We examine the title to any property in the state of Kentucky and Indiana and we issue opinions or title commitments within 24-48 hours or as necessitated by any particular transaction. Mr. Bornstein issues all forms of Title Insurance in Kentucky and he is a Licensed Title Insurance Agent in Indiana. We can close a refinance or conveyance loan on a very short. notice. We can close the normal transactions and emergency situations as necessary. In addition, we return closing packages fast with all documents pursuant to lender/underwriter closing instructions, accurate and complete the first time, eliminating post closing problems. Our Offices are conveniently and centrally located at 3339 Taylorsville Rd. in the Kruger and Schwartz Building just north ofthe Watterson Expressway. We have large closing conference rooms with surroundings that clients, customers and agents enjoy. We have three support personnel and five insured contract abstractors. Free parking is right at our first floor front door. Experienced and seasoned real estate attorneys are present at each closing and we take the time at each closing to fully explain all closing instruments and loan documents and answer any questions regarding the transaction and resolve all issues that arise between the borrower/buyer/seller/lender and other parti.. We take extm time for First Time Home Buyers. We make sure all parties have a great closing experience. At Bornstein Oppenheimer, we offer the very best and friendliest closing experience in the real estate closing industry and we deliver our services at a very competitive cost. Our strength and vigilance along with our nationally insured closings offer clients peace of mind that Bornstein Oppenheimer will always be there when you need us before and after the closing. Bornstein Oppenheimer provides the best value for your closing services. Since inception Bornstein Oppenheimer and our associated firms have evolved with changing local real estate market. In the last decade, we have helped clients respond to market forces and assisted clients in taking advantage of alternative financing sources, dealing with overbuilt markets and complying with a complex body of local, state and national environmental laws. We work with Banks, Mortgage Companies, Financial Institutions, Individuals, other Insurance Companies, other Developers, Owners, Property Managers, Tenants, and Investors on all types of Lending Transactions and Purchase Agreements, Leases and other complicated Transactions.